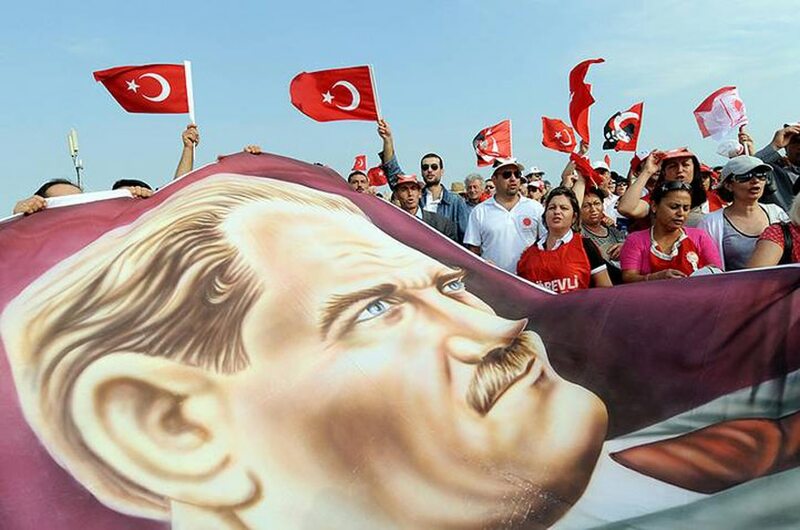 The image of Atatürk is part of the National Turkish heritageTurkish-style architecture bears testimony to the Ottoman Empire’s former presence in territories stretching, among others, across parts of the Arab world. The characteristic mosques with their tall pointed minarets are an example in case. Turkish influence on Arab society has nonetheless remained measured. Over the past years Turkish television soaps have entered the Arab private homes on a large scale.